"Ferguson - Men of Vision"
"Pye - How we Began"
"Ultra - Radio's Richest Voice"
"Ultra - The Romance of Ultra Radio"
Note that the three Ultra films are lacking any form of soundtrack so are silent. "The Electra - Radar Trials"
"The Secret Writing of the Electrons"
Bonus CD: Wireless Pioneers - recordings of speeches by Major EH Armstrong, Paul Godley and Captain HJ Round at the 50th anniversary of the Radio Club of America in 1952. 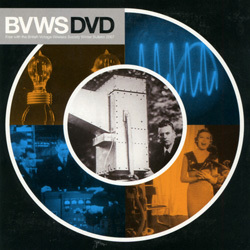 "Ferguson - In the Picture"
"Phoenix Tower - The Story of the Crystal Palace TV Tower"
"Man in the White Coat"
"For the love of it"
"Electricity - Power for Good"
All programmes and films on these DVDs are reproduced with full copyright clearance from the original publishers.